The rupee rose 54 paise intra day to hit a high of 73.58 per dollar compared to its previous close of 74.12 in the forex market. 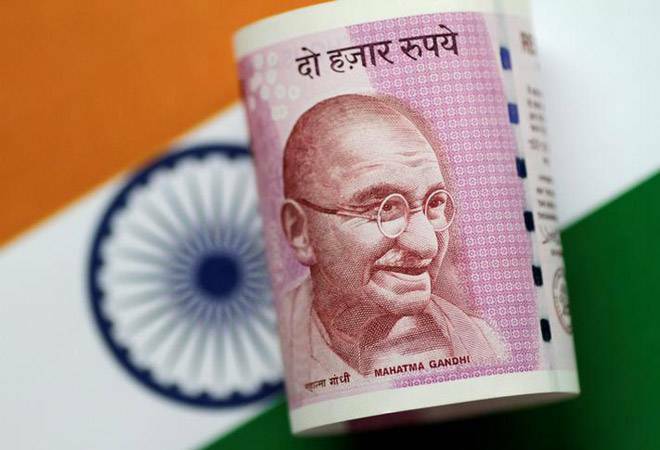 The Indian rupee recovered on Friday, wiping out losses it incurred during a week, on the back of falling crude oil prices, a recovery in equity market and weakening of dollar. The rupee rose 54 paise intra day to hit a high of 73.58 per dollar compared to its previous close of 74.12 in the forex market. Last Friday, the Indian curency closed at a record low of 73.76 to the dollar after the Reserve Bank of India kept its repo and reverse repo rate unchanged. During the day, the rupee hit a record low of 74.22 per dollar but later recovered to close at 73.76 level compared to the previous close of 72.58 per dollar. During the two-day stock market sell off, brent crude fell nearly $5 a barrel, or 5.6 percent, and is now hovering just above $80 after rising above $86 last week. Since payment of crude oil prices is done in dollars, a lower crude rate leads to lesser amount of rupee being converted to dollar, thereby weakening the US currency and boosting the rupee. The US dollar index falling against major currencies gave strength to the rupee. The index which stood at 95.76 three sessions ago fell to 94.95 level in trade after a two-day US market sell off which saw the Dow Jones Index losing over 1,300 points during the period. On Thursday, the government decided to raise import tariffs on several electronic items and communication devices, in another move to rein in imports and bolster a falling rupee. The tariff hike, the second such move in a two-week span, aims to raise import barriers to curtail the import of goods it deems as "non-essential" items. Last month, the government raised import tariffs on 19 "non-essential items," including air conditioners, refrigerators, footwear, speakers, luggage and aviation turbine fuel, among other items. The move which came into effect from today improved sentiment for the rupee in the forex market where it as already seen a slide of up to 16% since the beginning of this year. The Sensex and Nifty saw a strong bounce back rally on value buying in quality stocks. While the Sensex was trading 786 points higher to 34,787, Nifty gained 2.43% or 249 points to 10,482 level. The Sensex and Nifty outperformed the global markets which seemed to be affected by the second consecutive day of decline in US markets. The rise in local indices supported sentiment for the rupee in the forex market. Earlier in the day, the rupee gained 38 paise to 73.74 against the US dollar in in the forex market after global crude prices eased. The currency, after hitting a record low of 74.50 on Thursday, recovered 9 paise to end at 74.12 against the dollar.